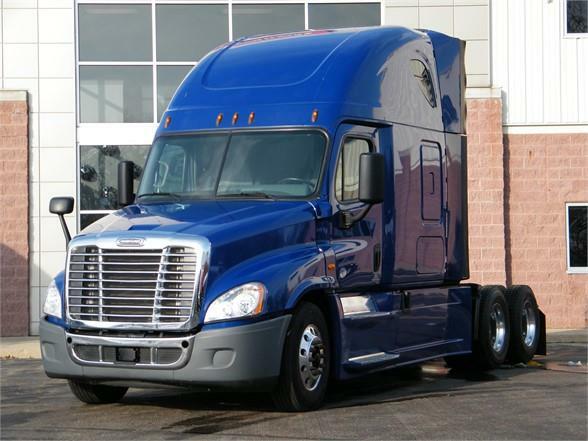 2016 Freightliner Cascadia Evolution with a DD15 engine, DT12 transmission, two beds, NEW DPF's, Thermo King APU, pw, ac, cruise, tilt & tele steering, heated power mirrors and much more. We will include a FREE 60 days BUYERS ASSURANCE POLICY PLUS A FREE FACTORY WARRANTY FOR 1YR/100K MILES ON THE ENGINE, TRANSMISSION AND THE REAR DIFFS. CALL FOR MORE DETAILS.